When Do I Get Car Maintenance? After you drive off the Stanley Chrysler Dodge Jeep Ram Gatesville lot in a new Chrysler, Dodge, Jeep, Ram, it’s in your best interest to bring your vehicle in at regular service intervals. Be sure to keep tabs on important maintenance services from regular oil changes and tire alignments to more extensive services like transmission and battery checks. Take a look at when to get these important services as well as a variety of others, and rely on our service department to keep your vehicle running smoothly on the streets of Gatesville for longer. Warning Lights – All should be in working order. Tire Pressure – Keep a cheap tire air pressure gauge in your glove compartment. Tire Tread – Put a penny in the groove of your tire (Lincoln’s head upside down). If you can see all of Lincoln’s head, it’s time to change your tires. Fluid Levels – Even if you don’t change your windshield wiper fluid, antifreeze, or coolant, be sure to check the levels and inspect for any leaks. You’ll also want to stay up to date on maintenance by following your vehicle’s manual. Luckily, you can easily access just about any car manual online thanks to resources like Edmunds. Even after you’ve driven off the lot, visit the Stanley Chrysler Dodge Jeep Ram Gatesville Service Department as needed for routine service. Whether you simply need an oil change or need to get your car’s timing belt changed, you can count on our seasoned experts. Schedule a service appointment soon, and be sure to check out our rotating service specials before stopping by! 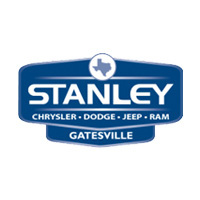 Our Service Department Contact Us After you drive off the Stanley Chrysler Dodge Jeep Ram Gatesville lot in a new Chrysler, Dodge, Jeep, Ram, it’s in your best interest to bring your vehicle in at regular service intervals. Be sure to keep tabs on important maintenance services from regular oil changes and tire alignments to more extensive services like transmission and battery checks…. How Does an Oil Change Work? 0 comment(s) so far on When Do I Get Car Maintenance?